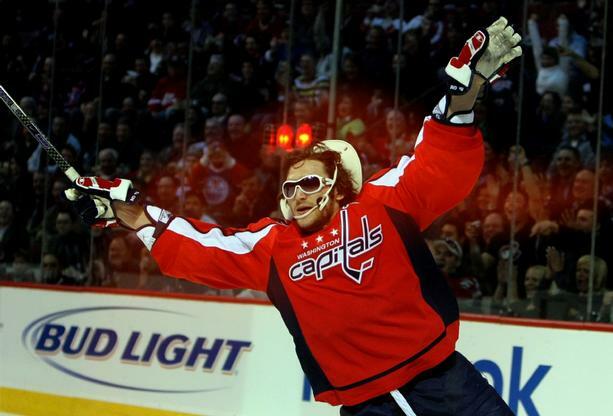 Okay, it’s no secret around here that we at IARL are fans of Alexander Ovechkin — I mean, the enjoyment we get out of his appearances on the highlight real is always great, and the pleasure we see in his play reminds us of our own love for the rink life. Then there was of course, Ovie’s now famous performance at the NHL All-Star weekend Breakaway competition with the hat and glasses and double sticks and act with Malkin. 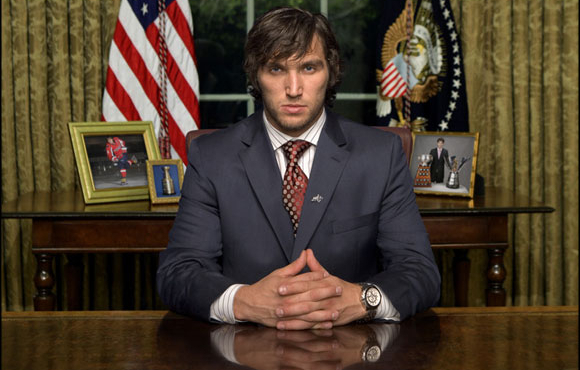 Now the NHL Playoffs are on and Ovechkin and the Washington Capitals are in the first round against the New York Rangers, Ovie has come out with some new antics. Rangers were on the ice practicing the other morning and Ovechkin wanders in and sits down on the Visitors’ bench and just watches them practice! Thing is, Ovie, despite not doing to hot in the playoffs even, still seems to be enjoying himself, as well as leading the NHL to new heights and being in the spotlight — very Rockstar President-like if you ask us at IARL — and you can’t help but like the guy a bit for that.